Among the responses Cassandra Hamilton receives to her advertisement as a mail-order bride, one stands out -- Jack McColton's. The last time she saw him, she was a carefree girl, but tragedy has made her a cautious woman. Jack is mesmerized by his new bride -- Cassandra might bear the scars of recent events, but she's even more beautiful than he remembers. They both have pasts that are hard to forget, but under the cloak of night, can their passion banish the shadows forever? 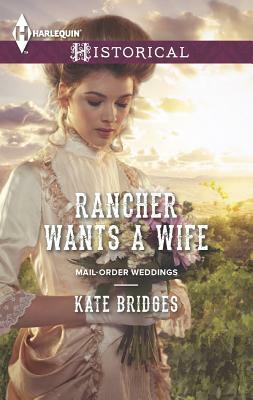 From blushing bride to rancher's wife!